and cheap transport into or out of Prague Airport. In accordance to Czech law, children are obliged to use car seats. Please inform us when making the reservation if children are being transported so that we may provide the appropriate seating (free of charge). the most famous spa town in the Czech Republic. Today there are 12 hot springs. Stroll along the riverside promenade and admire the architectural gems of Karlovy Vary. It is also the centre for the production of porcelain and glass and Becherovka (unique Czech herbal liqueur). OFFICIAL TAXI TRANSPORT FROM AND TO THE PRAGUE AIRPORT (VACLAV HAVEL AIRPORT). BOOK YOUR TRANSFER ONLINE SSL safe booking! The hundreds of customers that use our transfer every day cannot be wrong. Transfer prices are quoted per vehicle in USD (not per person) for a whole group to any location or hotel in Prague, including VAT. This is an exclusive transfer service - not a shuttle and you will not need to share a taxi, a minivan, a minibus, a coach with anyone else. by a taxi driver or find that the driver did not know your language or comfort expectation. If your arrival to Prague will be within 2 hours or if you prefer to speak to one of our agents, please give us a call otherwise fill in the booking form. If you do not want to book an airport transfer directly then you can call us when you arrive at Prague Airport on our freephone. Why should you use our exclusive airport transfer from the Airport to your Hotel or the place where you are staying? You might be just as well off using public transport or taking a regular taxi and hoping that they will not overcharge you. These are some of your options – the choice is yours. However, our private airport transfer will provide you with the comfort of knowing that after you arrive at Prague Airport, our chauffer will be waiting to pick you up and take you and your luggage straight to your destination, without any hassle. We will still wait for you no matter whether you will arrive earlier or later than your planned time (we check your flight status online, so we know when you will arrive). 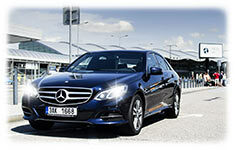 Do you have any questions about a Prague airport transfer to your hotel? Try our FAQ, read what our satisfied clients said about our airport taxi service or check what the BBC said about overcharging by Prague taxi drivers. Having passed through customs and the baggage reclaim area, passengers will be welcomed by our taxi driver who will be holding a card with your name printed on it. We will wait for you no matter what, even if your flight is delayed. On the way into the centre of Prague we provide tourist information (public transportation, security and other topics) while we point out interesting sites along the way. Prague airport is located about 20km or 25min from the city centre. The driver will pick you up at the hotel reception or in front of your apartment house. UK & Czech Based Transfer Company. Czech registration is PRAGUE AIRPORT TRANSFERS LTD.
night river cruise accompanied with a great live jazz music. Dinner menu a la carte.